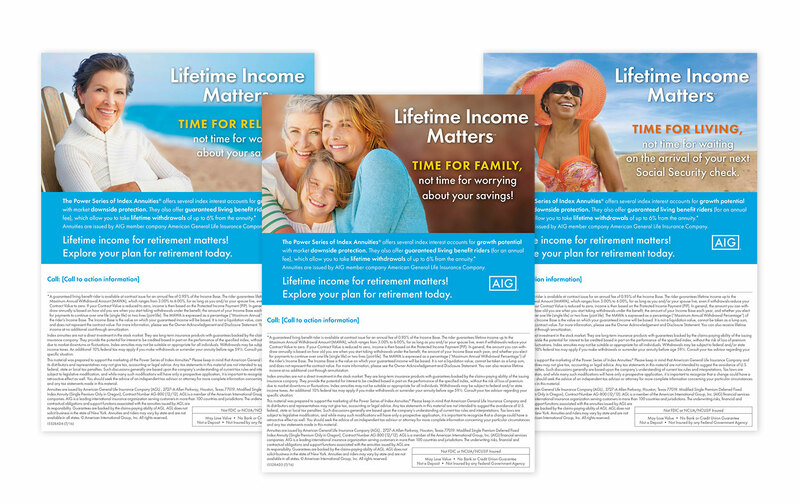 As Principle Designer for Annuity advertising I developed a sequence of advertisements based on lifestyle themes. The ads are for a woman’s magazine hence the imagery and color usage. After intense image research I discovered these three hero images that resonate with the audience. It is imperative to find the perfect photo to represent the moment.